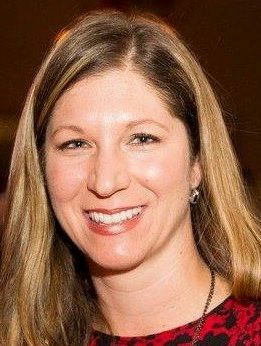 Dr. Kelly Giunta grew up in southern New Jersey and received her undergraduate degree from Rutger’s University. She earned a Master’s degree in Genetics and performed biomedical research at Thomas Jefferson University in Philadelphia before attending the University of Pennsylvania School of Veterinary Medicine. Following graduation, she completed an internship at Southwest Equine Medical and Surgical Center in Scottsdale, AZ. 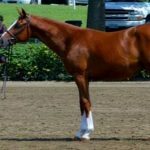 She then joined Equine Sports Medicine in Texas, where she further honed her skills in sports medicine and lameness by following the AQHA and NRHA circuits as a horse show veterinarian. She joined Blue Ridge Equine Clinic in 2010. Her professional interests include lameness, sports medicine, diagnostic imaging and acupuncture. 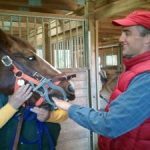 She completed specialized training in equine acupuncture at the Chi Institute in Florida. She is also an FEI permitted treating veterinarian. In her spare time, Kelly enjoys competing her horse Witham at local events, mountain biking, skiing, and traveling. Dr. Giunta’s favorite part of working at BREC are the amazing clients, patients, and staff that she interacts with every day!